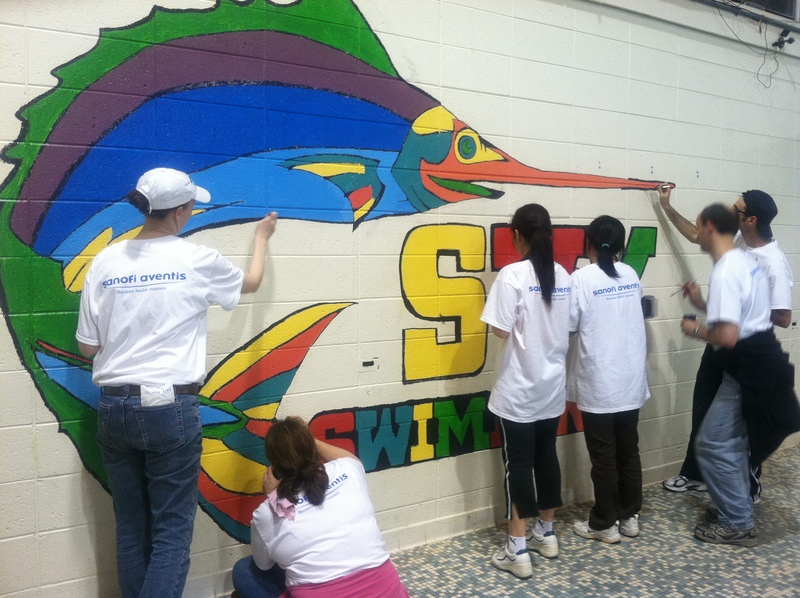 These Sanofi volunteers never floundered on how to paint their mural. 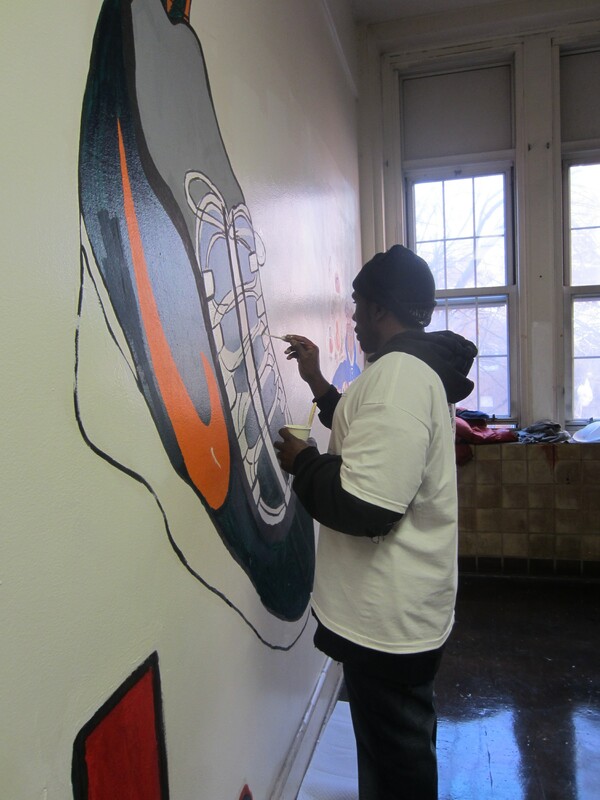 This sneaker has so much sole, it’s a shoe in as one of the best murals done by Jersey Cares volunteers! Think your art can kick it with the best of them? Become a mural artist! Click here for more information. These New York Jets Volunteers wanted to state where they are from! 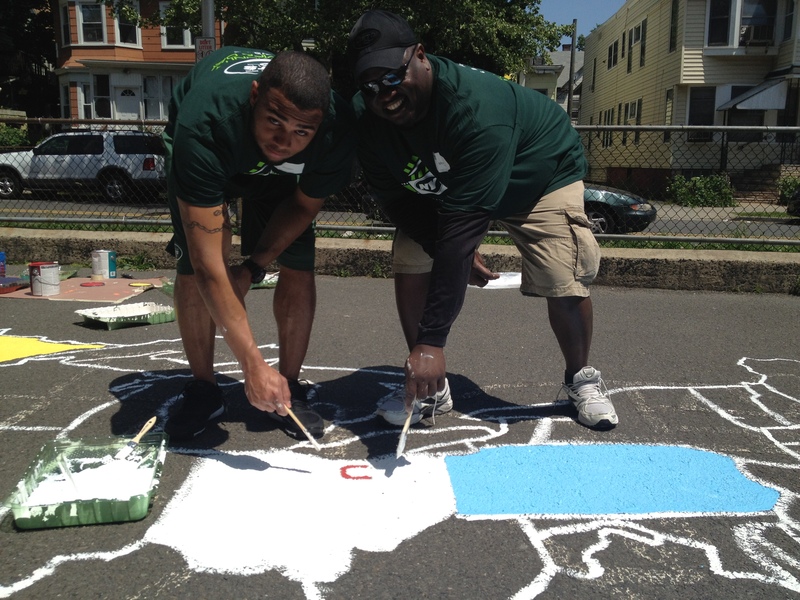 Get your company on the map with Jersey Cares. Click here to learn more. 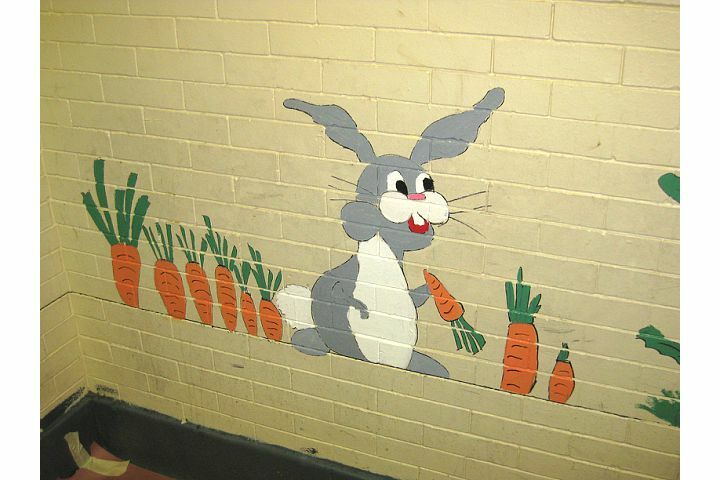 What kind of paint did Deutsche Bank volunteers use to paint this rabbit mural? Hare spray! 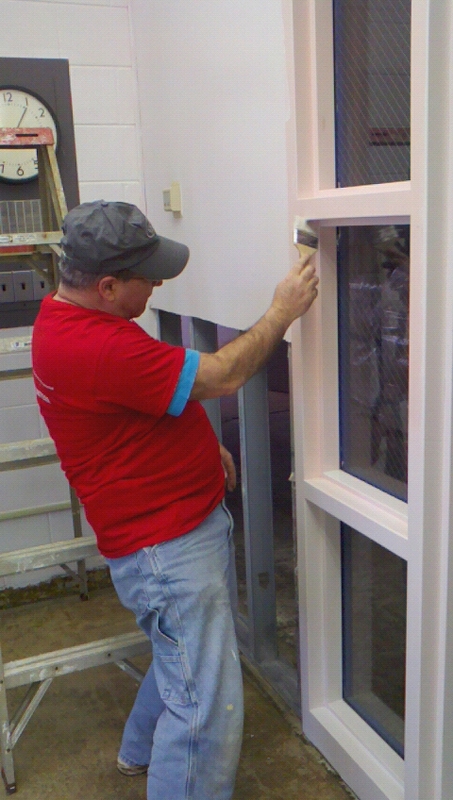 Painting around windows can be a pane. Luckily this Bank of America volunteer new what he was doing! 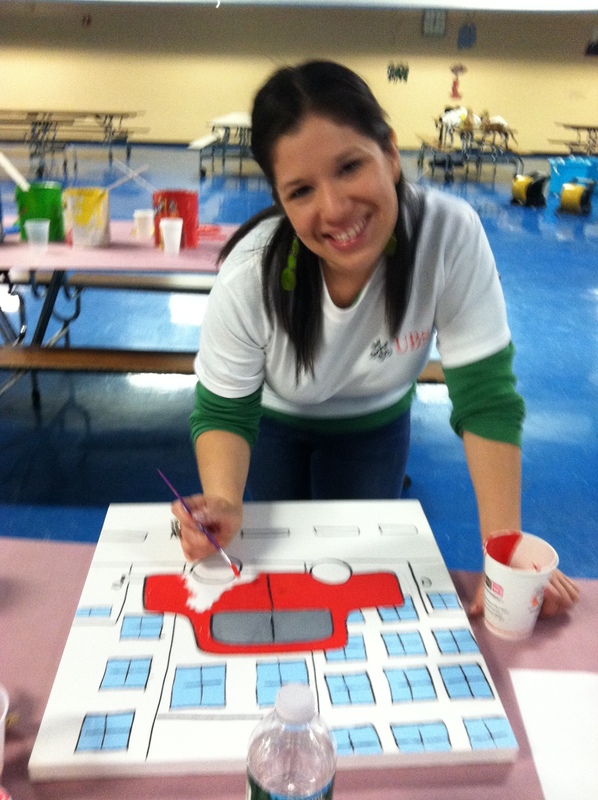 We were saabing tears of joy at the great work this UBS volunteer did with her car mural.